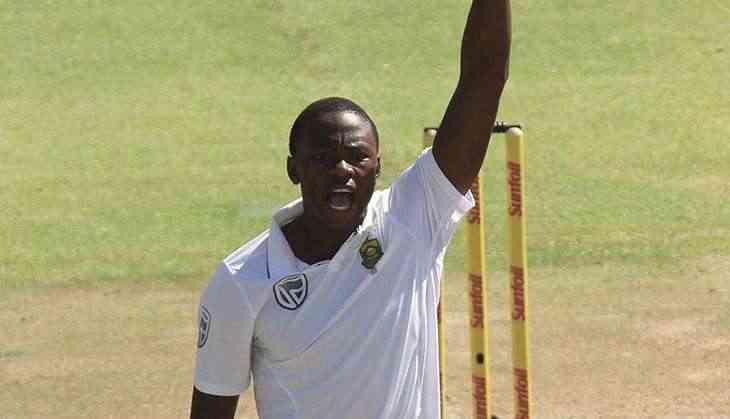 Former South Africa batsman Barry Richards believes that Kagiso Rabada's rise as fast bowler has "lessened the pain" of pace spearhead Dale Steyn's absence ahead of the upcoming four-match Test series against England. Steyn has been ruled out of the Test series in England because of the longstanding shoulder problem that has sidelined him since the end of last year. But Rabada, who made his Test debut against India at Mohali in November 2015, has since last year filled the gap by taking 71 wickets in 17 Tests at an impressively low average of 23.69. "I think a lot of people were really wobbly about Steyn and the injuries he's had, the age group, he's in," Sport24 quoted Richards as saying. "Then Rabada popped out of the woodwork and he's been absolutely fantastic. He bowls at a good pace, nice, easy action. If conditions are right, he'll swing it way which is a real asset for a fast bowler," added Richards. The 71-year-old further said that the 22-year-old has been fantastic for South Africa and has really lessened the pain of Dale Steyn not being in the set-up. "But I think our fast-bowling stocks are pretty good. (Chris) Morris as an all-rounder, and then (Morne) Morkel - he always looks like he should do well but he always bowls that yard too short for me, so even when his good ball beats the bat it goes over the stumps," insisted Richards. The Test series will begin on July 6 at the Lord's.